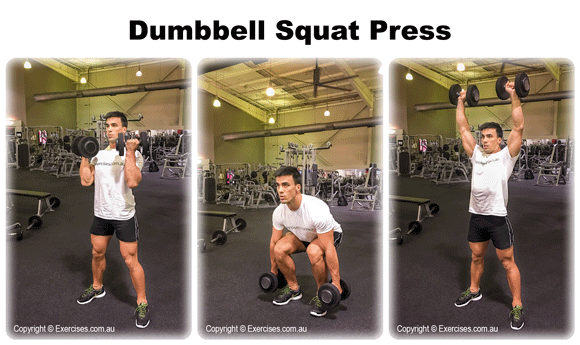 If you want a total body workout, the dumbbell squat press is a perfect exercise to include. It’ll hit the lower body as well as the upper body all in this single move, so can help shorten your total workout time while also increasing your overall fat burning potential. As it will require a great deal of energy, do it towards the start of your workout session when you’re feeling fresh. Hold a pair of dumbbells in either hand in a standing position, feet about hip width apart. Bend the knees as you lower down into a squat, keeping the dumbbells by the legs as you go. 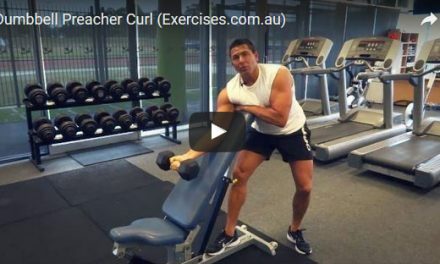 Press back up into the standing position and as you do, curl the dumbbells up and bring them to shoulder height level. Now standing, press the dumbbells directly over your head until your elbows are extended but not locked. Pause and then lower them down again until they reach the shoulders. Upon doing so, curl them down as you begin the squat section of the movement once again. While doing this exercise, focus on keeping your core tight to maintain proper alignment.